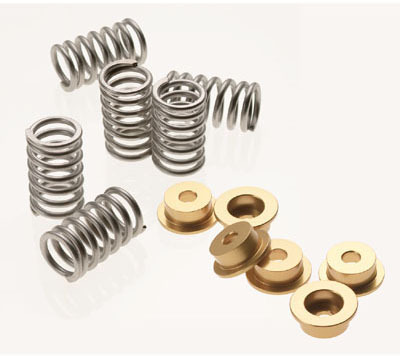 Our clutch springs+caps kits are an inexpensive way to stylize your stock pressure plate or enhance the beauty of your SpeedyMoto pressure plate. 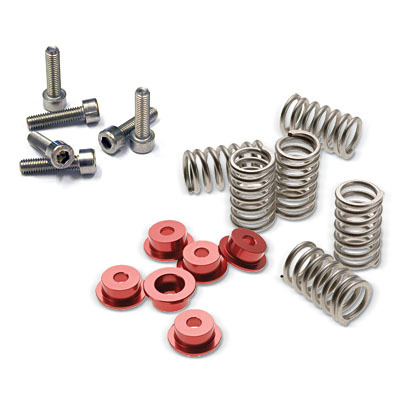 The kit contains 6 billet aluminum spring caps in silver, titanium, black, red and gold. The kits also include 6 stainless steel springs and 6 stainless steel bolts that wont rust or corrode like the stock springs and bolts. SpeedyMoto clutch springs+caps perform exactly like their stock equivalent, but offer superior endurance and a more attractive design. Fits all Ducati's with a dry clutch.